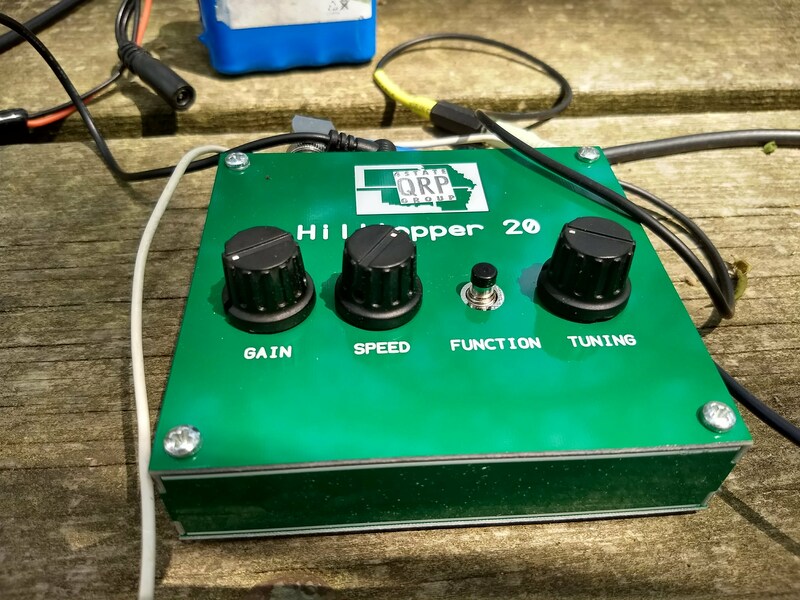 Charles NK8O has been building some kits, including the QRP Labs QCX 5Watt CW transceiver and the Four State QRP Group Hilltopper. Inside the Hilltopper 20. It uses conventional architecture but with some modernization. Frequency generation is from an Si5351 chip, using a stock Adafruit board, and control is via an ATmega328 chip using Arduino code (fully hackable). It is a superheterodyne configuration and uses a 4 pole crystal filter. The design is by Dave Benson, K1SWL, of Small Wonder Labs fame. He “retired” but you can’t keep a good man from designing great radios. The construction manual is among the best and most logical i have seen. All surface mount parts are pre-soldered. There is no display. Frequency is via annunciator, played when the push button is touched. Gain is all controlled at the front end, using RF gain. There is a built-in keyer and auto sensing for a straight key. The latest firmware offers Curtis mode A & B keying. 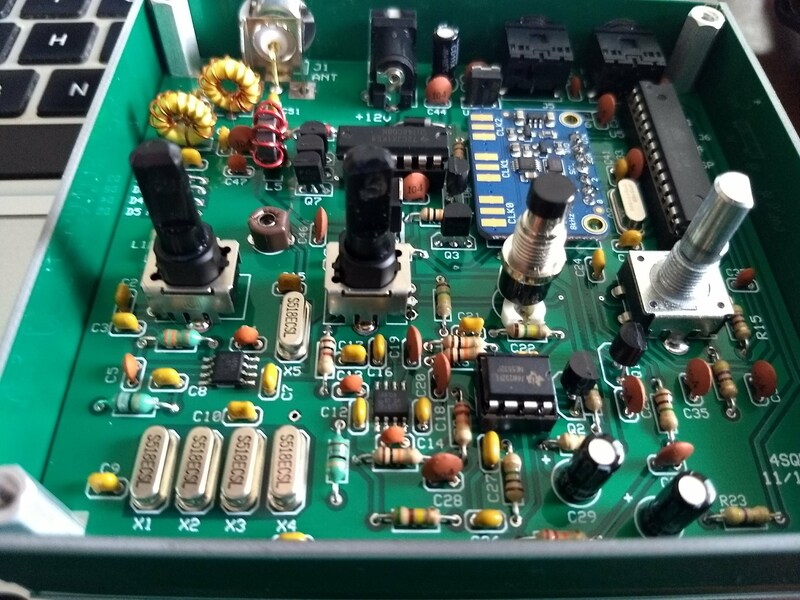 The radio chassis is a very clever use of PCB board. Old school setup. Paper and pen for logging and Hungarian straight key (at 18-20 WPM). The “other” radio is an old R4030, the TenTec rendition of the HB1B. 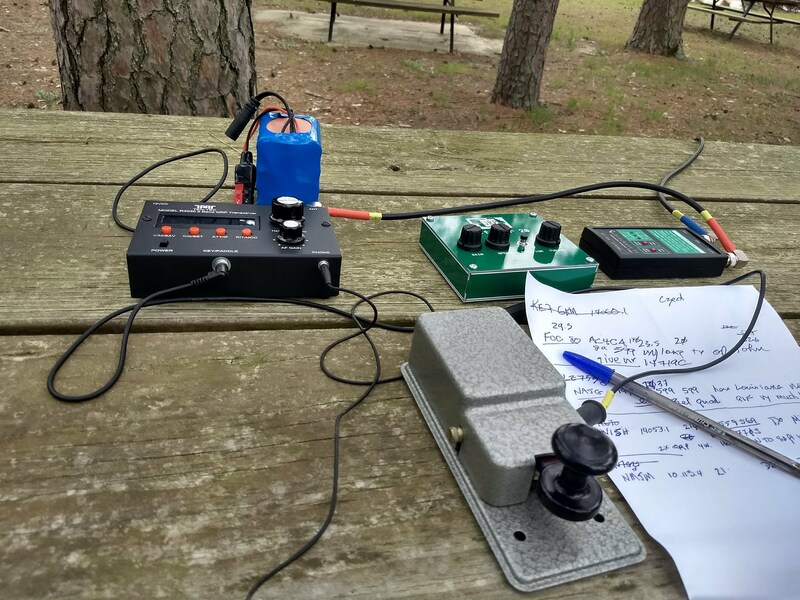 T1 tuner from Elecraft also was a recent build.